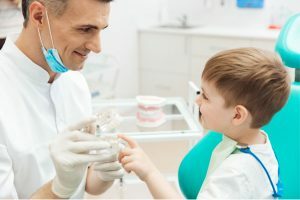 Dentist Reviews | Are You Hurting Your Dental Marketing Efforts? Stop Hurting Your Marketing Efforts. Get Dentist Reviews and Boost Your Practice. Continually getting new patients into your dental office is a must for your practice. It allows you to help more patients and increase your revenue on a regular basis as they come back year after year. Getting new patients can be difficult sometimes, however, when you don’t have the right resources on your side. When it comes to getting new patients through the door, nothing beats the help that dentist reviews can provide. Online dentist reviews help possible new patients make the decision to come to your practice because they see other patients had a good experience. Online reviews especially help convert three types of specific patients, including people who have just moved, people who no longer like their dentist, and people who have children. Here’s how online reviews help you get these types of customers as new patients. People move all the time. 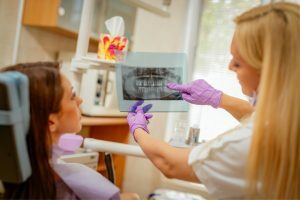 Whether they are relocating for a new job or moving to be closer to family, a move that is more than one hour away from their current location means a new dentist When people are looking for a new dentist after a move, they are most likely searching online and want to know that their new dentist will be a good one. Since they have enough to worry about with unpacking and getting settled in, they want to find a good dentist quickly. Positive online reviews from your current customers can help patients in the market find your practice and decide to visit. In a Google announcement, Google stated that “Google review count and score are factored into local search ranking: more reviews and positive ratings will probably improve a business’s local ranking.” In other words, more positive online reviews mean better visibility for your practice, which gives possible patients more reason to trust that they will also have a good experience as your patient. Those who have bad experiences at with their current dentists are most likely on the lookout for another one who will give them the dental care they are looking for. In addition to asking friends and family about the dentists they see, these unhappy patients will flock to the internet to see how other dentists rank in the area. According to BrightLocal, 85 percent of consumers trust online reviews as much personal recommendations. If you have positive online reviews, customers will be more likely to become a new patient. They will feel as they are getting a personal recommendation from a friend or family member. Anyone looking at your online reviews is more likely to schedule a new patient appointment with no hesitation. Mothers and fathers value their children’s health highly and want the best for them in everything, including dental care. New parents are super skeptical when it comes to their children’s health care providers and will screen them meticulously to ensure their child is getting the best service. A survey reports that positive online reviews makes 73 percent of consumers trust local businesses more than companies with no reviews. So, having positive online reviews will help parents trust your dental practice and choose you for their child’s dental care. From helping you rank higher to being more visible to people new to the area to helping parents trust you more, positive online reviews can benefit your dental practice in big ways. To help you gain more online reviews and more patients, contact Kydos today! We’ll help you gain new reviews with our easy-to-use review management platform, so you can grow your dental practice.